Just like I post before, I created some looks to join Mizzu Challenge from Mizzu Cosmetics. But unfortunately I didn’t win, hihihii..
It’s a brilliant idea I think, to create gel eyeliner in the pencil. If I compare from pencil, kohl, liquid, and gel, gel eyeliner is the best concentrated colors from the other. But, most of cosmetics brands put the gel liner in the pot, and you have to use brush to apply it. Sometimes, using brush comes a little bit tricky. Also in me. So, put the gel in pencil, it’s a brilliant idea. You got the concentrated, but it’s easy to use just like pemcil. Love it!! As you can see, you will know when this eyeliner will expired, because the expired date shows in the cap. And mine is August 2016. So long, yeayy… so I can make this eyeliner for two years. For the first, I try to smudge it. And yes, the liner smudge perfectly. Easy to smudge, easy to blend. Love. You can use this eyeliner as eyeshadow too. Two combos! And then I flow the waters in my hand. As you can see the colors are still strong and stay. 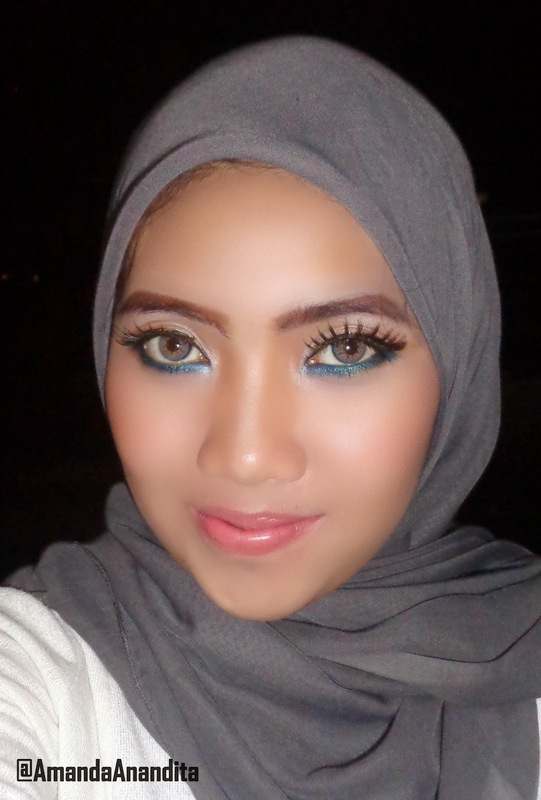 In this picture, I use Mizzu eyeliner pen black in my upper lash line, and Mizzu chrome gel blue in my lower lashline. The colors like shimmer because the effects of blitz from the camera.